Women's Norris Field Wellington Boots is rated 4.4 out of 5 by 28. Fusing the unique design style of the iconic Original Tall boot with new developments, the Norris Field boot is made for sustained use on varied terrain. 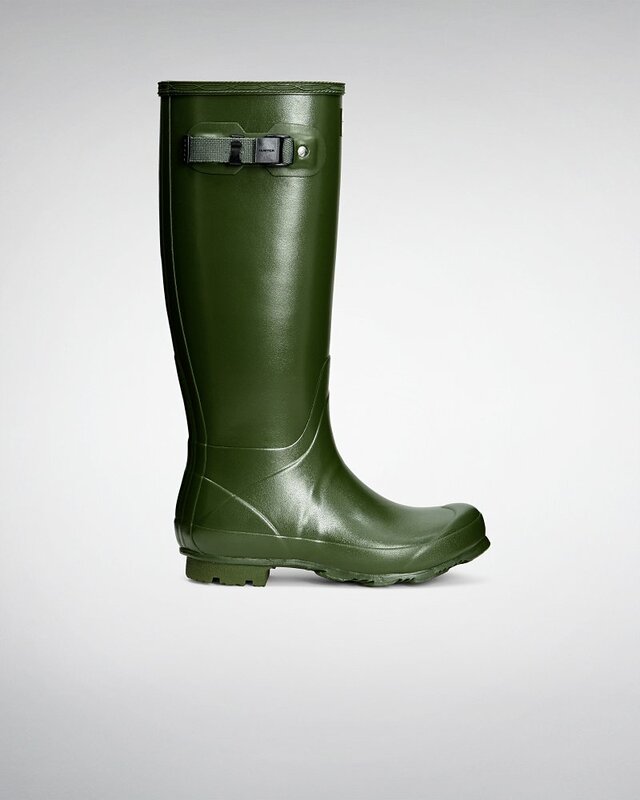 The boot is named after Hunter's pioneering founder, Henry Lee Norris, who set up the rubber company in 1956. Made from a new soft rubber compound, the design is strong and flexible, while the durable sole has a wide zigzag construction for high traction. A robust sole with a durable heel and high-grip zigzag tread features with a weather-resistant buckle and webbing strap.